No M.2 port? No problem. 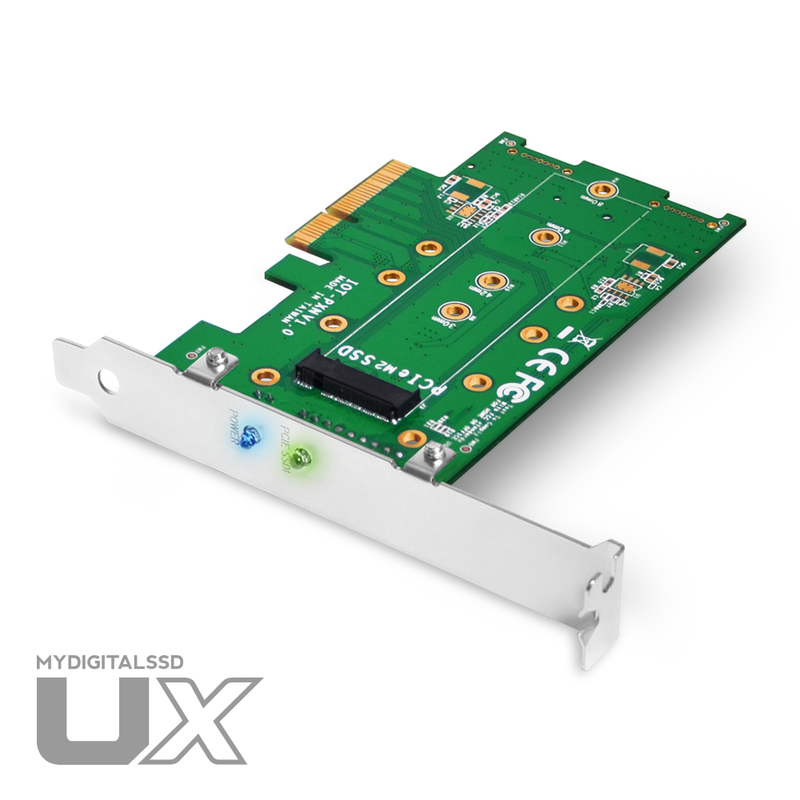 The MyDigitalSSD UX Universal adapter card helps expand storage and improve performance of your server, desktop PC, or small form factor computer by mounting any NVMe M.2 SSD in any PCIe bus slot. 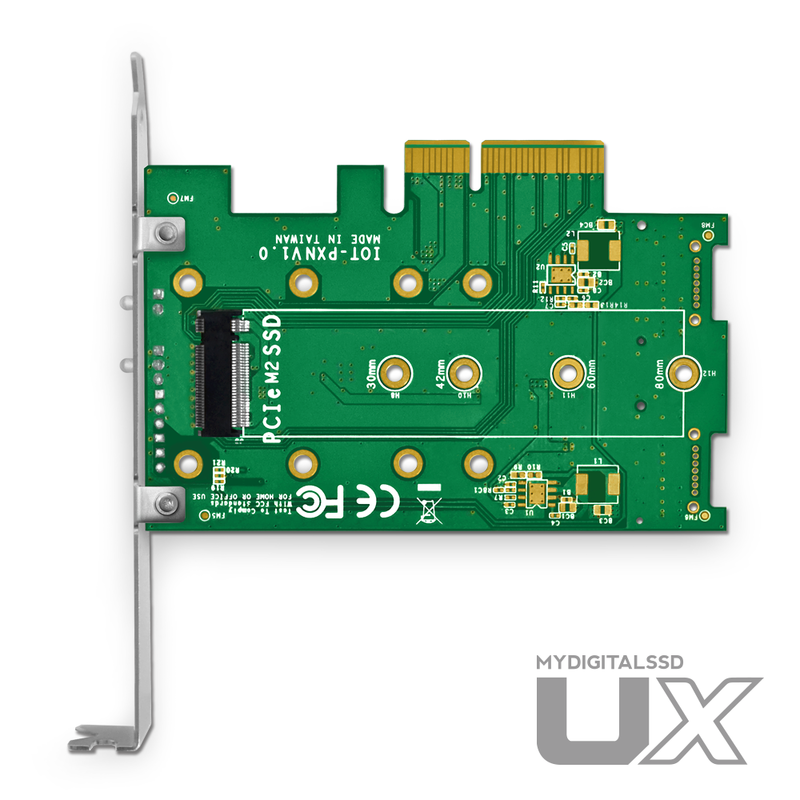 With PCI Express 3.0 support and +3.3V/3A power, the UX adapter card offers full and unrestricted bandwidth to take advantage of NVMe speeds up to 32Gb/s (using a PCIe x4 slot) and optimize your computer’s efficiency, allowing you to get more done in less time. 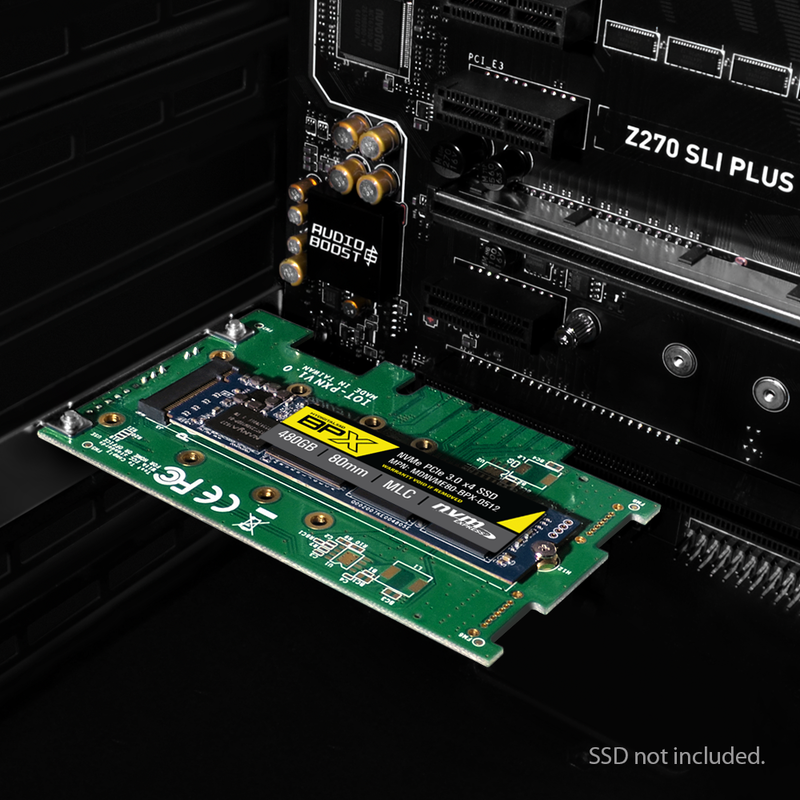 Compatible with PCIe Gen3 and PCIe Gen2 M.2 SSDs in 80mm (2280), 60mm (2260), 42mm (2242), and 30mm (2230) form factors thanks to an adjustable stand-off and multiple mounting holes, UX adapter cards are OS independent with no drivers required, for a fast, hassle-free setup by plugging into a PCIe x4, x8 or x16 slots in today's hottest motherboards. 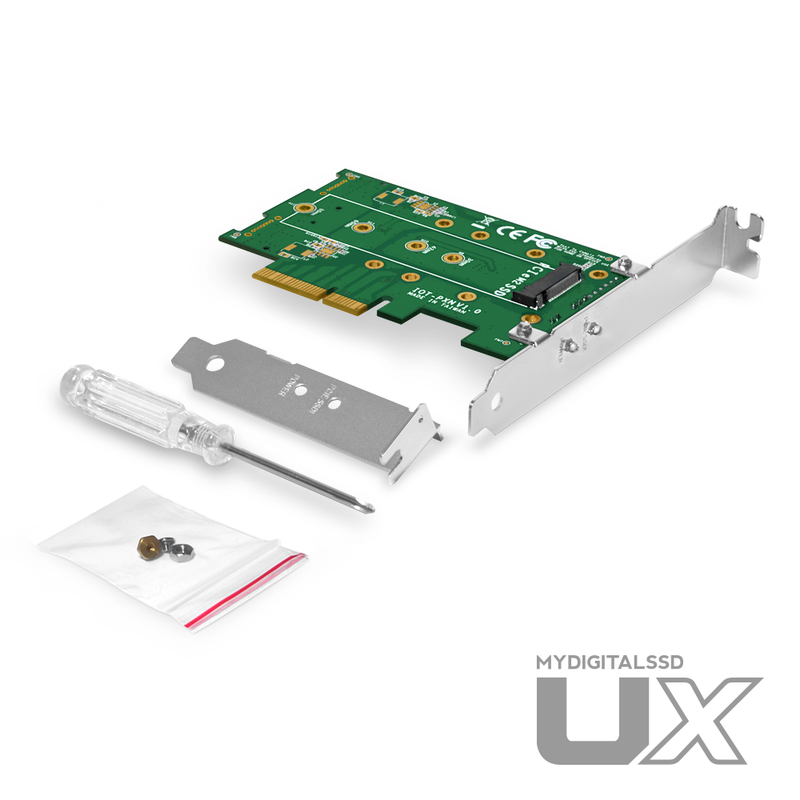 Each UX adapter card comes equipped with a full-height bracket and includes a half-height low-profile bracket, screwdriver, and M.2 mounting screw pack for quick and convenient installation in PC cases of all sizes. 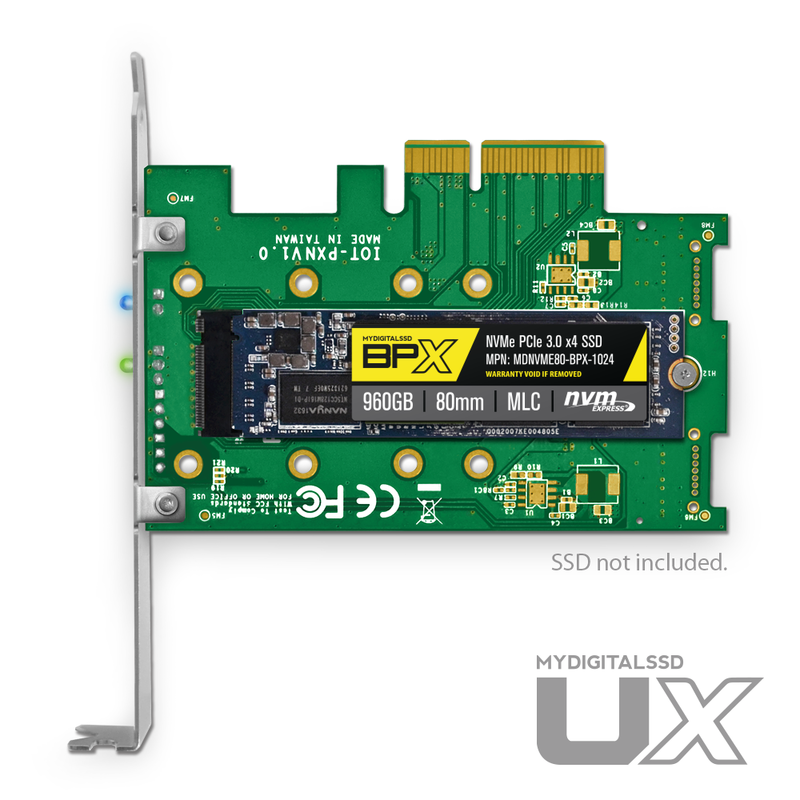 Additionally, the MyDigitalSSD UX adapter card also provides peace of mind as a simple and cost-effective way to access and recover data from M.2 drives pulled from other laptops or computers in cases of hardware failure or to simply continue using the drive for storage and backup purposes. Supports all OS: Windows / Mac / Linux / etc. 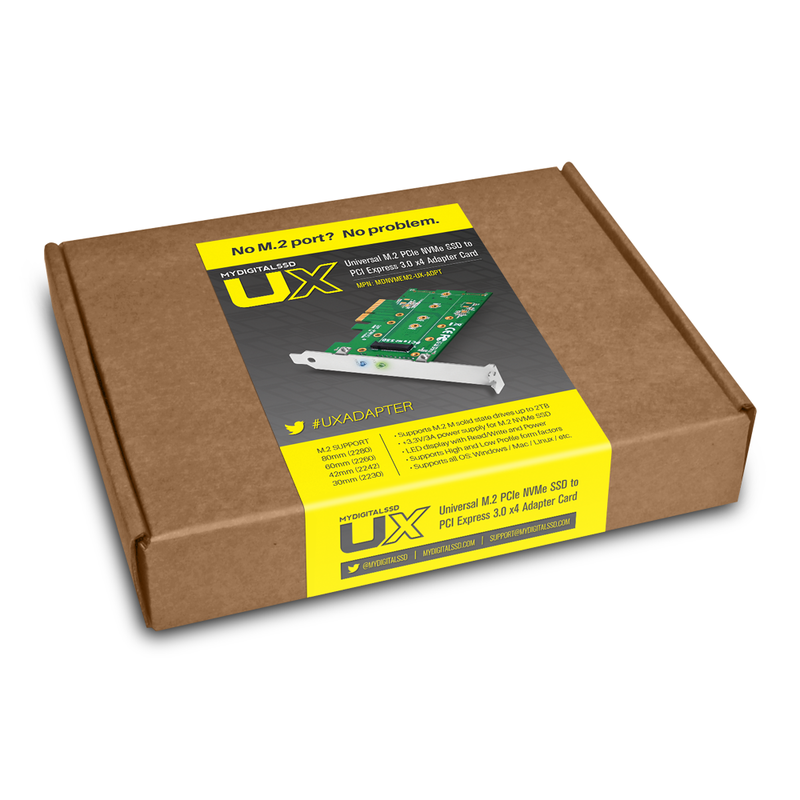 Note: The UX adapter is designed to work only with M key M.2 PCIe SSD. It is NOT compatible with B key PCIe or B key SATA M.2 SSDs. OS Support All Windows / Mac / Linux / etc. Check compatible models from ASRock, ASUS, Gigayte, MSI, & more.